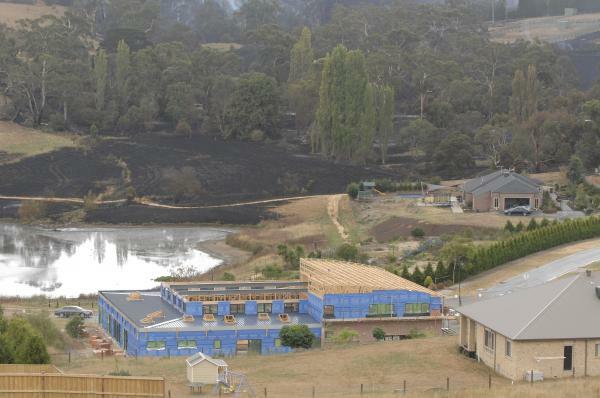 The Black Saturday fires destroyed two homes in Narre Warren North. On the afternoon of the Black Saturday fires, Tori and her husband Nick Arfaras, were holding their youngest daughter’s 12th birthday party at her home in Narre Warren North. “Earlier in the morning, around 11am, there had been a fire in the Troups Creek Retarding Basin and we were getting updates on the fires through the television and radio,” Mrs Arfaras said. “Nick was upstairs when he heard a crackling sound coming from the direction of the creek and then we noticed big ‘flakes’ floating into our backyard. Mr Arfaras raised the alarm with a neighbour whose property adjoins the creek area. “He then came back home where we quickly changed into appropriate footwear and clothing, grabbed whatever buckets we could find, and joined our neighbours in a ‘hose and bucket brigade’ at the end of our court,” Mrs Arfaras said. 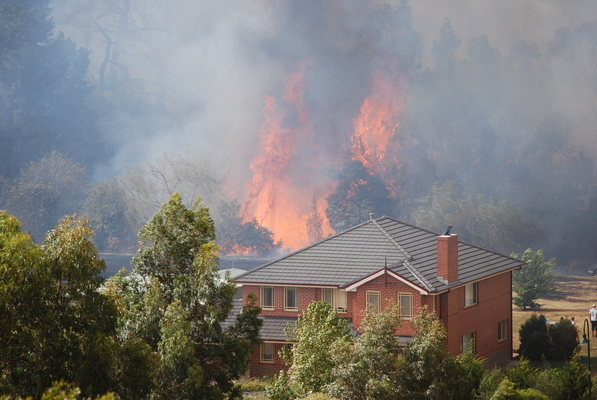 “The CFA quickly turned up and took over and we also had one of the water bombing helicopters assisting. Mrs Arfaras said her family was very aware of the fires on the day. “My parents had had to evacuate. I’ll never forget my mum being on the phone saying she could see the flames but that dad didn’t want to leave his horses and me saying ‘just get out’, and then the phone went dead,” she said. The aftermath was “quite emotional” for the Arfaras family. “Due to having to evacuate during the Ash Wednesday fires I have quite a fear of fires,” Mrs Arfaras said. “So between having them three houses away and the continuing uncertainty of my parents’ situation I was really shaken.